My girlfriend works from home running her own business. She currently doesn't have much of a backup and recovery plan for her computer but really must get one in place. Can anyone recommend a company who would be able to come in and quote to put something in place for her? Would help if you said where she lives. Also, any specific reason why she needs to pay somebody? There are many 1 -5 PC solutions available that you can configure securely & reliably. Agree that CrashPlan, correctly configured, will do what many people need. If it's media creation it may not work because of data volumes and upload speeds. You'll get plenty of tips here, but if you want a professional expect to pay hundreds or thousands for labor and potentially more for equipment. Back blaze is also pretty good for online cloud backup. 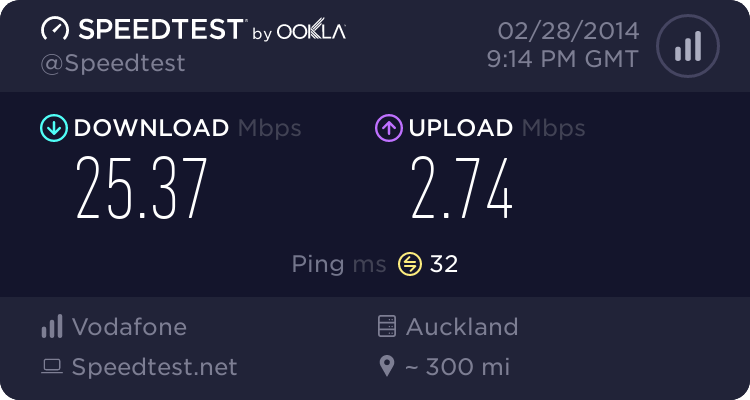 Agree with Timmay that large media files will slow it down if they make up a significant proportion of her data, unless she is fortunate enough to have a decent fibre connection. Combine with a NAS and so on and she ought to be OK.
We have a combination of services in use. We have a Synology NAS with a raid 10 array, and also have the *unofficial* Crashplan app setup on it to upload everything to the cloud. We figure we're covered for most data loss instances now, but still have a mission critical hdd that gets updated each week and cycled with another that's taken home. Hi all, sorry I haven't responded in a few days. GZ is normally my lunch time activity at work but work has been crazy busy for the last age it seems so I don't seem to get on here as often as I'd like anymore. Why pay someone else to do it: 1) we just don't have the time, and 2) we want a solid solution in place. My girlfriend's income is significant and any downtime through loss of data would prove to be very expensive. We are happy to pay a few hundred, but if it gets into the thousands then we will have to reassess (i.e. it might be worth my while to reschedule a few other things to work on this myself). A quote would be mandatory. She is a developer so we are talking about code and database backups, as well as PC images so she could be back up and running quickly in the event of a disaster. We already have a NAS that she saves her work to but of course we don't have a backup plan for that. I am thinking using cloud storage would be the way to go but this is what I want in terms of professional advice (as well as the execution of the plan). https://www.backblaze.com/ looks good. The fact that they will mail you a HD with your date if something goes belly up is pretty nice. I use Jottacloud.com (Norwegian service) and a NAS. With my Macs running backups to the NAS via Time Machine. For the online solutions you will only have to install the software and tell the software what parts of the computer to back up. It should be fairly easy to get going. That might be enough of a backup, but if you have large files and need to have access to quick restore of those files, then you might want to look at combining an online backup service with a NAS. (Network storage). No matter what you end up with as the solution, it should be based on at least an online solution, that way you have an external backup if you have a fire or something else happens (like a break in where the thief takes all your hardware). Only having a backup solution in your office/home is not going to help much if you loose access to it for any reason. Besides, even a NAS can loose all its data. Yes. I am trialling Crash Plan on my latest Mac, just to see if having the servers based closer to home makes any difference. So far....not. It told me that backing up 2Tb would take 1.7 years....! BackBlaze is meant to have a multi-threaded upload, which would make it much faster from NZ with its high latency. On the other hand CrashPlan has an Australian data center, so latency is lower. What data is stored in "the cloud"
As an alternative, if it is code and DB backups she is worried about, how about Visual Studio Team Services? It is free for the first 5 users and guarantees 9 nines of uptime as well as backups to other Azure datacenters. She could move all the code into Git repos if it is not already and push it into a VSTS instance. We have found it good at work, but if you are talking GB's of repos it is obviously going to be a bit slow. A fresh repo clone can take a while on our biggest repos. It also allows other cool things like CI/CD pipelines if you don't have them already and work item, bug and team tracking. If you got a Synology NAS for on prem, you could also back that up to Azure geo redundant storage. The new cool blob storage option could make that even cheaper.